Running a business can get expensive. That’s why it is important to cut costs in every place that you possibly can so as to maximize profit and get the most out of what you’re putting into your business. Here are a few tips that you can keep in mind when putting money into certain areas so as to save as much as you possibly can. A big area where you can save a lot of money is on the cost of food. You need to balance different types of foods that are necessary to spend more money on, such as specialty items of your menu, and foods where you have a little room to cut back and save money. If you can make deals with local farmers, then that can be a good way to get fresh produce and save more on money. Another way to cut back on food costs is to buy certain items in bulk. If you know you are going need a lot of a certain spice, it is better to make the initial investment and buy a lot of it at once rather than buying small amounts of it as needed. It is important to plan out your menus and know what you will be serving if you are going to be buying items in bulk. To keep profits maximized at any certain catering event you want to make sure that you don’t have more people working than you need. You don’t want several employees walking around not doing anything. If events are small, chances are the staff can also be sizably smaller, too. Staying efficient in the way that you manage the price of your catering. If you know how much your business is costing at any certain time, you can effectively price your services to keep your profits up. Catering is very mobile and so if you are constantly driving, the price of gas can get expensive. That means your drivers need to be taking calculated routes that will use the least amount of gas. That sometimes means it might be worth the initial investment of a GPS so your drivers don’t get lost frequently and end up wasting more in gas money. 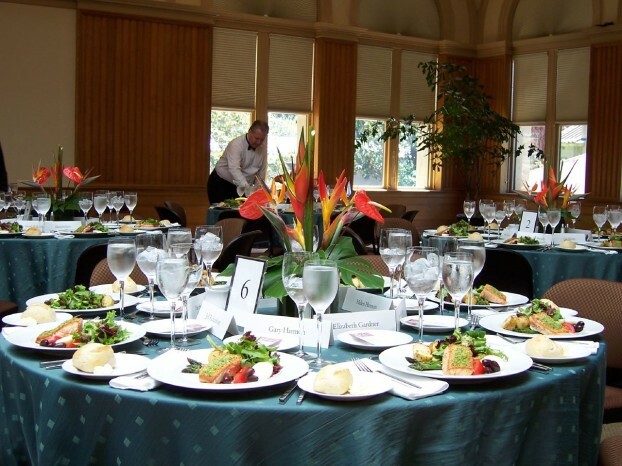 It also helps if you are able to book catering events that are nearby your central location or each other. Small catering businesses don’t need to be marketing to the entire world. You aren’t going to want to travel across the state for a catering job, so you won’t need to be marketing across that entire state. Make sure your marketing is selectively targeted at people in your area who are more likely to purchase your services. The more food that goes to waste, the more you lose on your initial investment. Make sure you save items that can be saved, while still discarding items that are unsanitary or spoiled. One way to lower the amount of food waste is to control what food you are putting out. Since you can’t reuse food that has already been put out, just put out small amounts of food at a time and refill them as needed, that way you can keep a better control on the amount of food you will have to throw away at the end of the event. Don’t waste time. Get there early enough to set up, but not so early that you are wasting your time! Get the job done right the first time so you don’t waste time, because time is money! Ryan Davis is the owner of Argyle Catering Co., catering the Jefferson City, Mo area for the past 5 years with great customer service and tasty food. Davis received his knowledge and experience from the California School of Culinary Arts Le Cordon Bleu Program.